There are a variety of different work fields that anyone could get into. With so many potential options to choose from, it can be hard to know which path to follow. Those who are good with their hands and have an interest in doing new things each day may want to consider becoming a certified electrician. 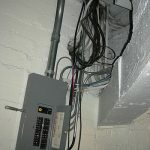 Many electricians would agree that there are several pros to getting into this line of work. When it comes down to earning a living, there are many grey areas of business. Some areas are less than honest while others remain borderline. Getting started as an electrician, however, is incredibly respectful. Of course, shady people with lacking values can find their way into any type of career field; however, it’s a straightforward line of work in which you are guaranteed to be able to provide a good service and earn an honest dollar. Many jobs do not require any type of specialized career training. This being the case, those who work in these types of fields are easily replaced. The unknown about what life may bring can be difficult for many to deal with. Certified electricians, on the other hand, cannot be replaced by simply anyone. Their field requires specific, specialized electrical training, which means that there is a certain degree of job security. This is undoubtedly a desirable feature for anyone. Some careers are more than ambiguous. Thanks to the many different ins and outs of various positions, it can be hard to know exactly what is your responsibility and what is not. Many people function best by having clear outlines of what is expected of them. The wonderful thing about being in electrical work is that it is quite straightforward on this front. It is undoubtedly very clear what you would be responsible for and what is expected out of you. This can bring peace of mind and a sense of calm to every workday. Just as doctors and dentists are able to lend their skills to the unfortunate who could not otherwise afford such important services, an electrician also has the noble opportunity to help those in need as well. Victims of natural disasters and groups that specialize in helping refugees to have a safe haven are always in need of volunteer electrical work. It’s a service that can only be done by those who know how to do it and it is appreciated greatly since all have come to rely upon electricity so much in this society. There are undoubtedly great pros to being in a line of work in which the accompanying knowledge and expertise can benefit you and your friends and family. Everyone deals with electricity on a daily basis. It is inevitable for any homeowner to run into electrical problems from time to time. Many housewives would give anything to have a husband capable of fixing electrical issues quickly and inexpensively. Indeed, those are just a few of the many perks of becoming an electrician. What Are The Learning Requirements For Becoming An Electrician?